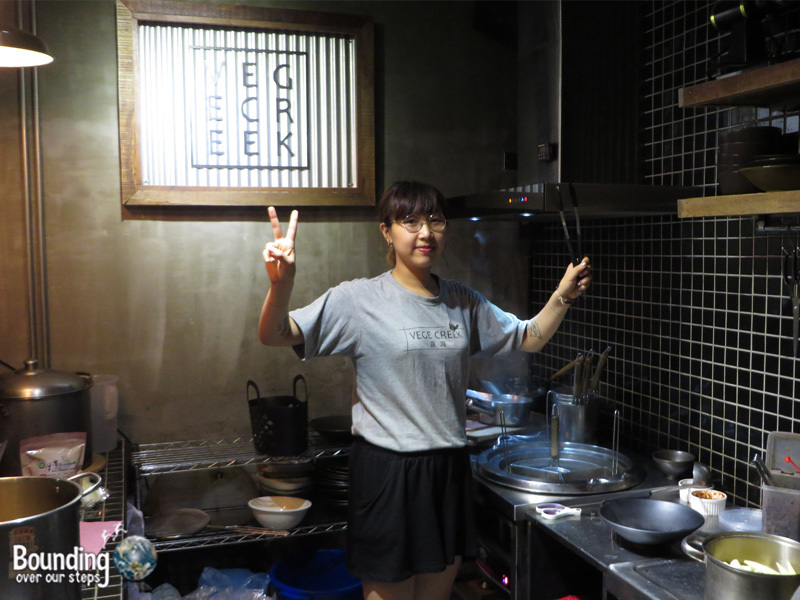 Only a short 5 minute walk from Sun Yat Sen Memorial Hall Station Vege Creek, a vegan restaurant in Taipei created by two students who had saved money from a work abroad program in Australia, offers personalized vegan meals for lunch (12-2pm) and dinner (5-9pm). Their success has even led them to be able to open a second location. This restaurant encompasses a rather small space with a single large wooden table, lending itself to a family style intimate experience. 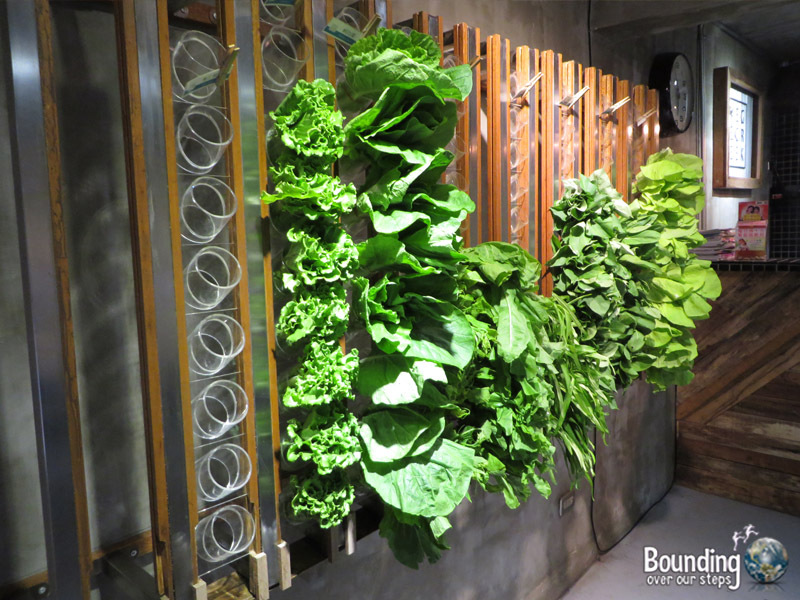 The plain walls are only decorated by the food itself, giving the impression that all the energy at Vege Creek goes into the most important aspect to any restaurant – the food. 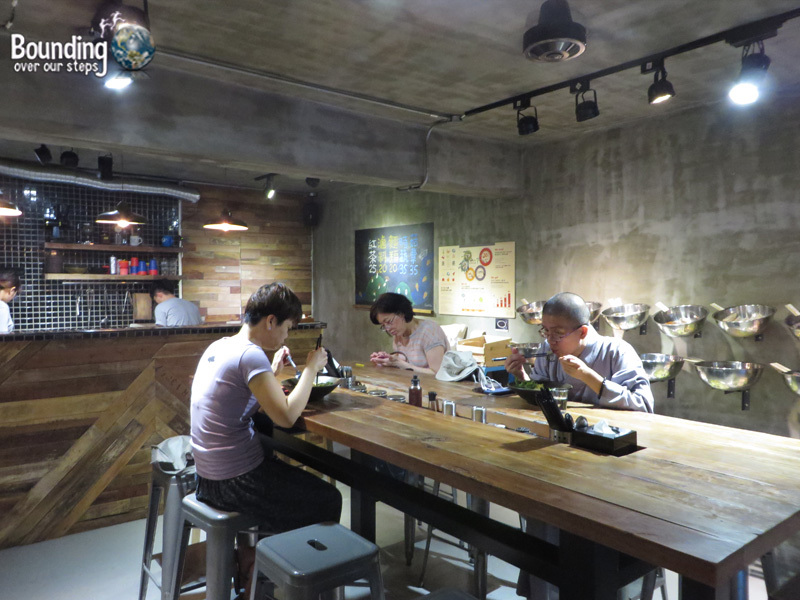 The menu consists of tailor-made noodle dishes including the customers’ choice of protein, fresh vegetables and type of noodle. Each patron is handed a basket upon arrival with which to hold al the selected ingredients. I chose fresh greens, tofu, eggplant, broccoli and mushrooms to name a few and brought my basket to the counter to “check out”. The price reflects the fresh ingredients as well as the made-to-order style of preparation. 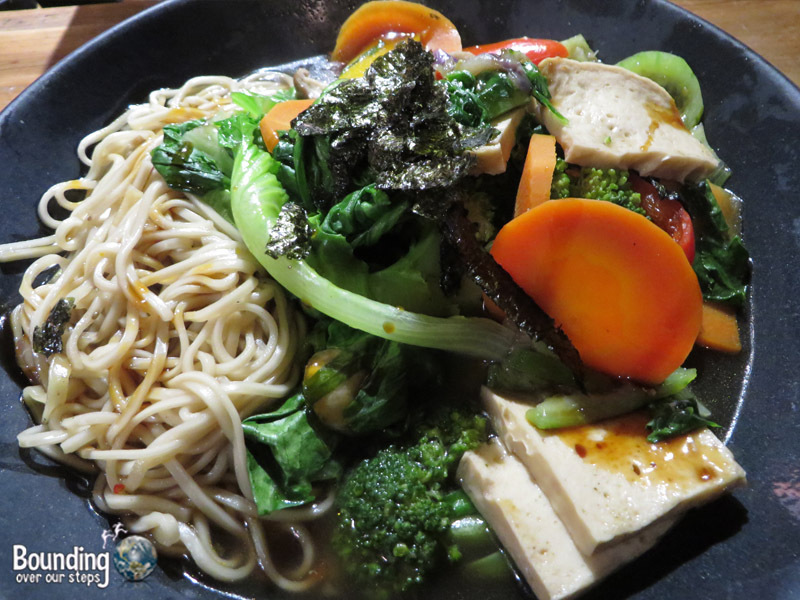 Additionally, the prices are on par with other vegan restaurants in Taipei. 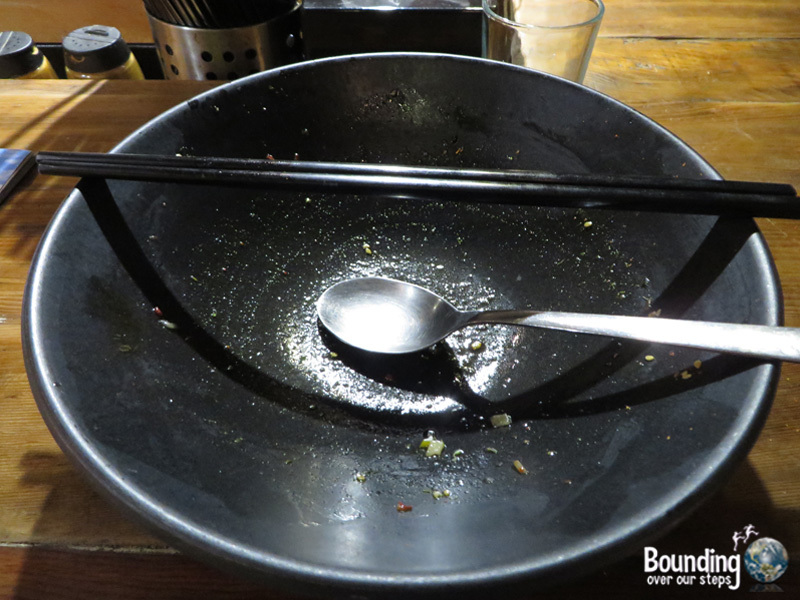 My big bowl of food came to only 225 NTD ($7.50 US). Because you get to choose each ingredient, the customer is in complete control of how much s/he is willing to pay. As soon as I arrived I felt well taken care of. I was met at the door by the manager, who explained the selection process as well as the color-coded price system. I was made to feel very welcome and after only a short wait, a huge bowl of deliciousness was placed in front of me. 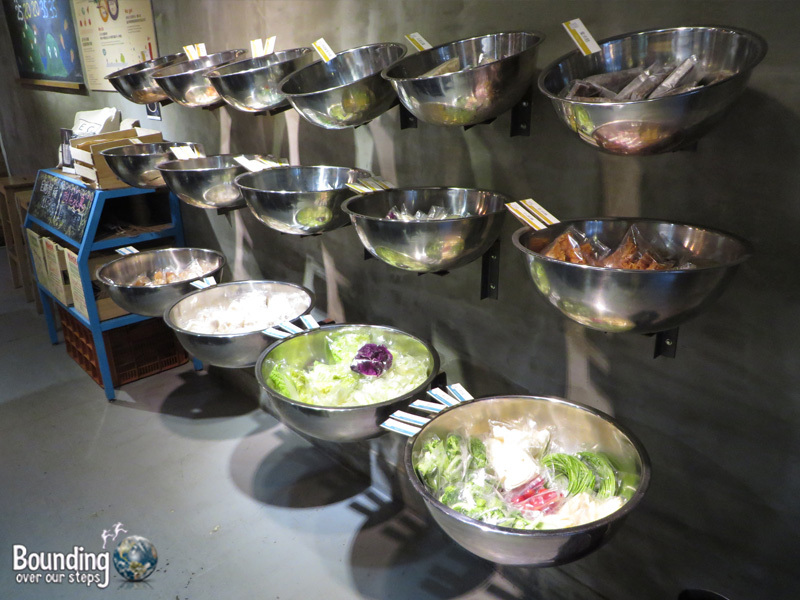 In terms of flavor, my meal at Vege Creek was the best I had in Taipei. Take Exit 1 out of the Sun Yat Sen Memorial Hall Station and walk straight making sure to stay on the left hand side. Make your 3rd left (you should see a big TV station building on your right). Turn right on the first cross street and Vege Creek in a little ways down on your right.